#whilewewatch: #whilewewatch and The #OccupyWallSt Media Team members from the film have journeyed to cafe's around the country setting off on an exuberant roadtrip. #whilewewatch and The #OccupyWallSt Media Team members from the film have journeyed to cafe's around the country setting off on an exuberant roadtrip. Since The Premiere of #whilewewatch at The Paley Center for Media in New York City, #whilewewatch has screened at various counter culture locations around the US. #whilewewatch and The #OccupyWallSt Media Team members from the film have journeyed to cafe's around the country setting off on an exuberant roadtrip. Jesse LaGreca, Justin Wedes, Tim Pool, Lorenzo Serna and Luke Rudkowski hopped in a van in NYC drove to Frankfort KY and brought #whilewewatch to The Kentucky CoffeeTree Cafe for 3 back to back screenings in one evening, with livestreamed panel from guest streamer Elizabeth Arce [ @occupymusician ] and #OccuppyWallSt media team member Johanna Grube. Simultaneously, Garett Sergeant, #whilewewatch editor, brought the film to UnUrban Cafe in Venice Beach Ca. Guest Livestreamer, Freedom [ @OccupyFreedomLA ] graciously streamed the event for us! And this was only the beginning! The #OccupyCafe team @whilewewatch began receiving Tweets from all over the country asking us to come to their town with #whilewewatch. We listened! 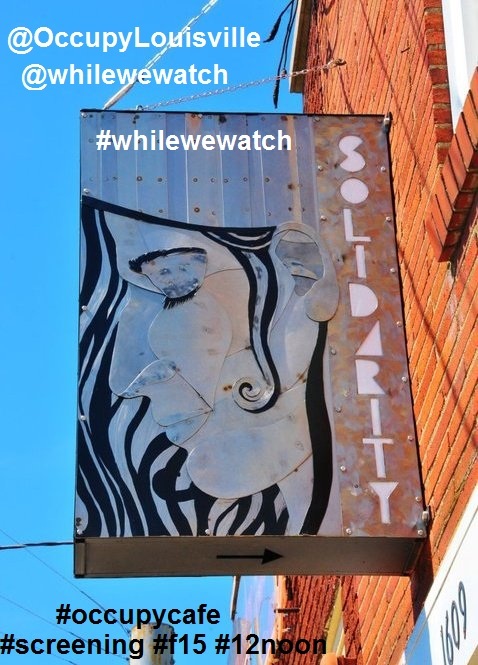 Next stop brought #OccupyCafe to Louisville, KY for a lunchtime screening and panel discussion where we received a warm homemade #whilewewatch welcome at the apropos cafe Solidarity. Moving on the same day to Dayton.Ohio the #OccupyCafe team made some noise!Jesse LaGreca was aired by FOXNEWS affiliate ABC22 OCCUPY PROTESTERS HOPING TO SPREAD MESSAGE NATIONWIDE . Jesse's original viral video interview,"Fox News Gets Out Foxed! "[Original Footage from Kyle Christopher] from Zuccotti Park was never aired by FOXNEWS. yet was picked up by MSNBC, Bill Maher, Jon Stewart and Stephen Colbert all picked it up! #OccupyCafe continued roadtrippin'! Why stop there? 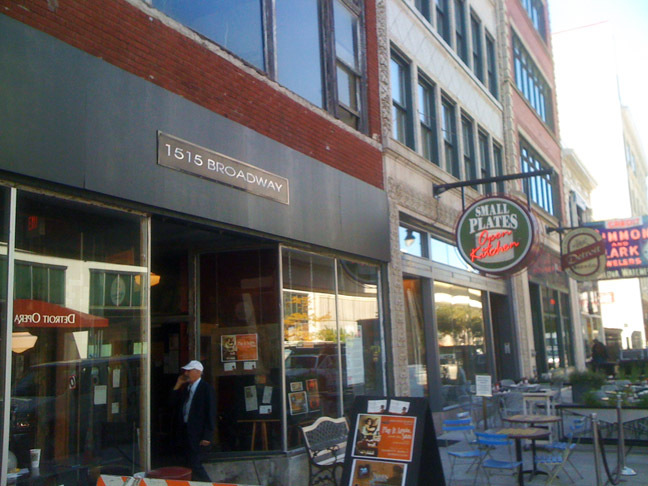 Next stop #OccupyDetroit to screen at the famous Detroit Cafe 1515 Broadway, where they had yet another warm welcome, screened #whilewewatch and livestreamed the panel discussion. 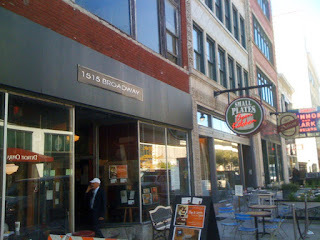 The #whilewewatch #OccupyCafe roadtrip returned home for some well earned rest. Click the links below for more #whilewewatch news! !